MOUNTAIN LAKES, N.J. – Lying just 30 miles outside of New York City, the Borough of Mountain Lakes is a scene out of a classic Norman Rockwell painting defined by heavily wooded terrain, rolling hills and streetscapes of dramatic flair. Situated in the middle of suburban Morris County, the quaint Borough has historically been a popular residential destination for those who want all that attributes of small-town living in a location that’s not only ideal for raising a family, but is also in close proximity to the area’s major business and entertainment centers. Distinctive homes, an abundance of lifestyle opportunities, highly-regarded school system and overwhelming sense of serenity and security are just some of the attributes that consistently have Mountain Lakes ranked as one of New Jersey Monthly’s “Best Places to Live” in the state. “The majority of Mountain Lakes’ base is made up of residents who commute to work in Manhattan, Morristown and other nearby Cities,” says David Hornblass, a principal of HornRock Properties, a real estate developer which is active in the Borough. The award-winning Mountain Lakes public school system has received many accolades. Most recently, the High School was ranked as the seventh best public high school in the state in the August issue of New Jersey Monthly’s Top High Schools. With its winding country roads and bucolic lakes, Mountain Lakes provides a serene oasis that is minutes from world-class shopping, entertainment and recreation. Within the Borough itself are the Torne County Park, nine lakes, golf courses, as well as countless recreational programs at the Lakeland Hills Family YMCA. Nearby, historic Morristown boasts upscale restaurants, shopping and theatre and concert venues. The sought-after lifestyle of Mountain Lakes is driving demand and generating strong interest in homes for sale throughout the Borough. The large desire to live in one of the state’s most desirable communities is evident at Legacy of Mountain Lakes, an upscale collection of townhomes which HornRock Properties recently opened to an enthusiastic buying public. 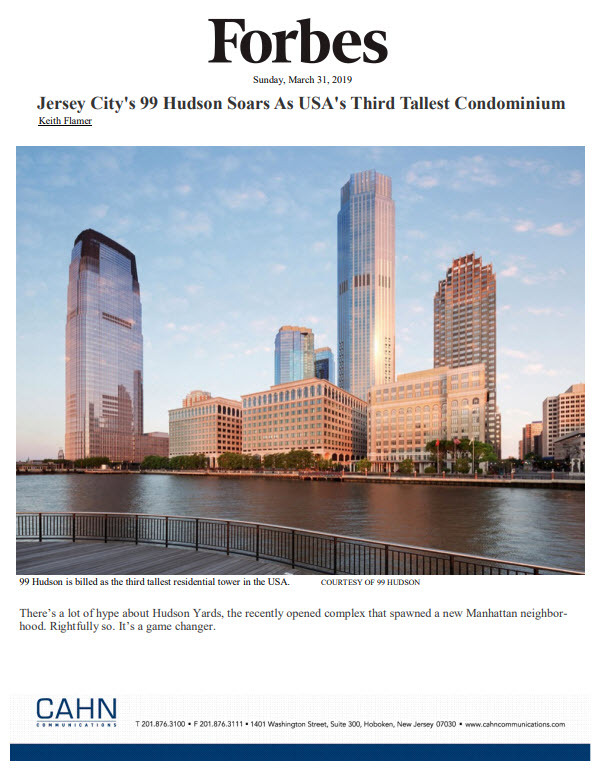 “From the day we opened our doors, a wide range of homebuyers have expressed tremendous interest in these homes,” says Maurice Hornblass, also a principal of HornRock Properties. “Of course, young couples and single-professionals are jumping at the opportunity to purchase a spacious, well-appointed home in the Borough. HornRock Properties has reported significant initial interest in the “Quick Delivery” homes which have been released for sale at Legacy of Mountain Lakes. The homes provide move-in dates soon after purchasing. These exquisite residences provide sophisticated buyers the ideal scenario of owning a brand new home complete with cutting-edge designer finishes and appointments, and the opportunity to be enjoying their Mountain Lakes lifestyle in time for the Holiday season. “These homes are perfect for those who want a newly-built residence, but can’t afford to wait the typical four-to-six months for construction to be completed,” says Maurice. “This includes homebuyers relocating to the area, those who have already sold their current home or purchasers whose personal living situation has changed. The “Quick Delivery” homes feature three-bedrooms plus a bonus room and 4,949 square feet of luxury living space. Priced starting at $899,900, the homes offer 4.5 bathrooms, two-car garages and finished walk-out basement with gas fireplace and full bath. The quick delivery homes stand out due to a very high level of trim details and features normally available only in expensive custom homes. Among the luxury features lining these residences are hardwood stairs, gourmet kitchens with island breakfast bar, granite countertops and stainless steel appliances and expansive master suite with walk-in closets and lavish master bath with granite countertops, Kohler fixtures, spa tubs and upgraded tile floor. Homes also boast two decks off the kitchen and master bedroom suite. “The level of luxury is further enhance in one of the homes which also features a completely furnished wet bar in the basement with wine fridge and granite countertops and an elevator,” says David. The “Quick Delivery” homes join a new offering of 37 residences which have opened for preview sales at The Legacy of Mountain Lakes. Two new distinctive housing collections are being offered — the “Carriage Home Series” featuring three-story townhomes ranging from 2,162 to 2,236 finished square-feet of luxury space and the “Signature Home Series” offering two-story townhomes ranging from 2,829-2,853 square feet. Townhomes at The Legacy of Mountain Lakes are initially priced from the high-$500,000s for the “Carriage Home Series” and upper-$700,000s for the “Signature Home Series.” All homes will include a long list of designer appointments and upscale features. The two separate housing collections offered at The Legacy both boast tremendous interior spaces and a host of upscale design elements. The “Carriage Home Series” will feature three-bedroom residences with boast 2 full baths and 2 half baths and one- or two-car garages. The three-bedroom, 2 ½ bath “Signature Home Series” homes will boast unfinished walk-out basements and two-car garages. Buyers who purchase optional upgrade packages can expand their living space to more than 4,700 square feet in the residences. Optional finished basements, elevators and loft spaces which can be used as an additional bedroom with full bath are available. Each of these residences will back to wooded areas for additional privacy. Construction on the new townhomes is booming with framing well underway for the initial ten homes. 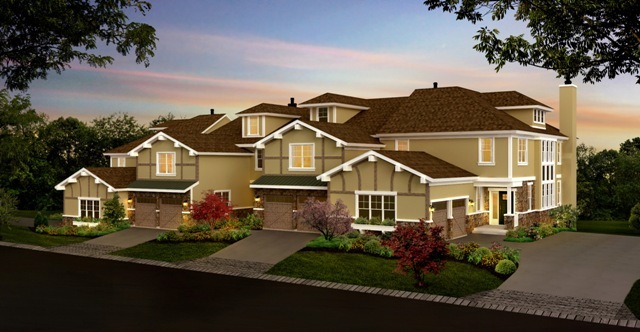 The development timeline at Legacy of Mountain Lakes will include the official opening of professionally-decorated Signature Series model homes at the community in early 2014. For additional information on Legacy of Mountain Lakes, please call 973-265-0899 or visit www.legacyofmountainlakes.com. Led by brothers David and Maurice Hornblass, HornRock Properties is a rising development company that’s quickly gaining a strong foothold in the mid-Atlantic region. The Paramus, N.J.-based developer of residential and commercial properties is building a sterling reputation for signature properties that combine quality construction, dramatic homes and a personal approach to customer service. In addition to Legacy of Mountain Lakes, HornRock Properties has launched an aggressive acquisition program to significantly expand its portfolio in the Northeast by acquiring real estate developments, with a focus on the New York/New Jersey urban and suburban markets.